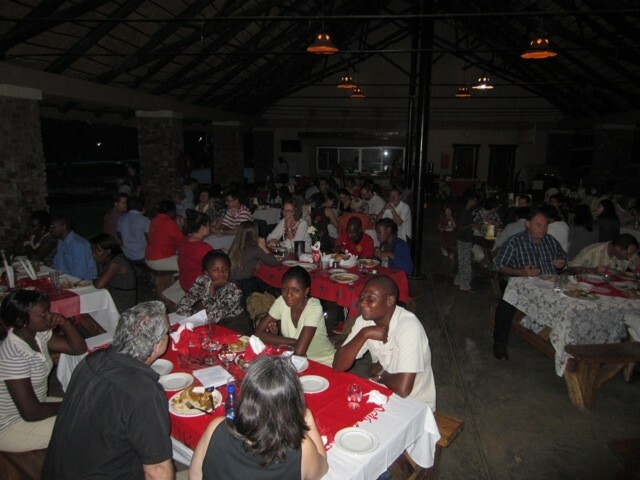 We are looking forward to a great week of rain here in Lilongwe! 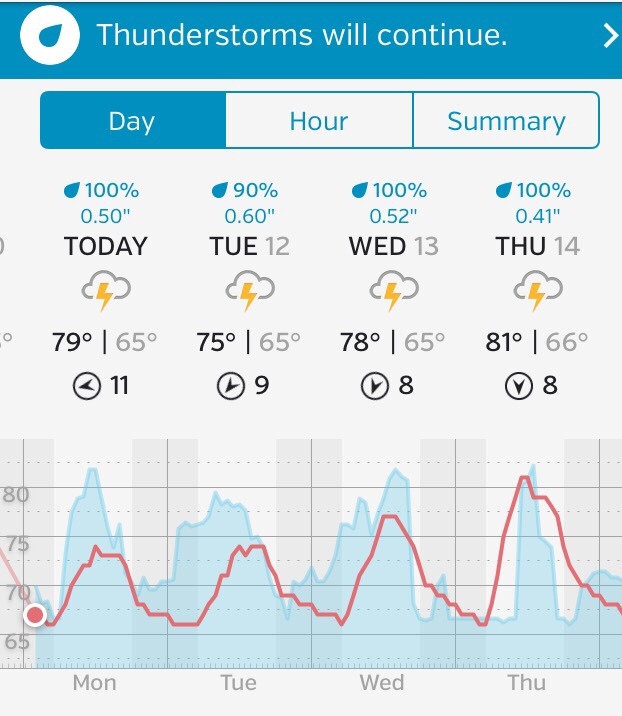 Thunderstorms, cooler temperatures… aaaahhhh! 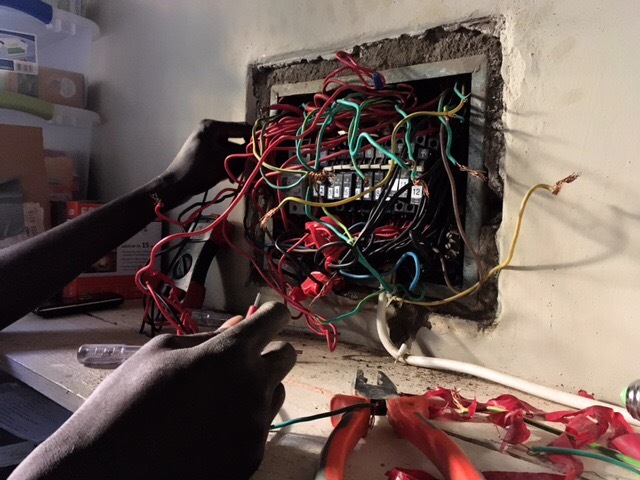 Apparently when you start reworking wiring for inverters and solar panels and such, things can get a little shocking… Since about noon yesterday our house has intermittently been “live.” At various points the metal roof, the bathroom faucets, running water, and the breaker boxes have all shocked people. Thankfully most of the shocks have been pretty mild, and neither of the girls have been shocked. By the time the girls and I left for swim lessons this morning at 7:45, they had figured out that there was a problem with the grounding wires. Power was leaking from the neutral to the ground line… which is why it connected to the plumbing and roof. Not that I understand all that, but the people who need to understand it do.  Hopefully we’ll be less electrifying soon! First Day of School 2017! 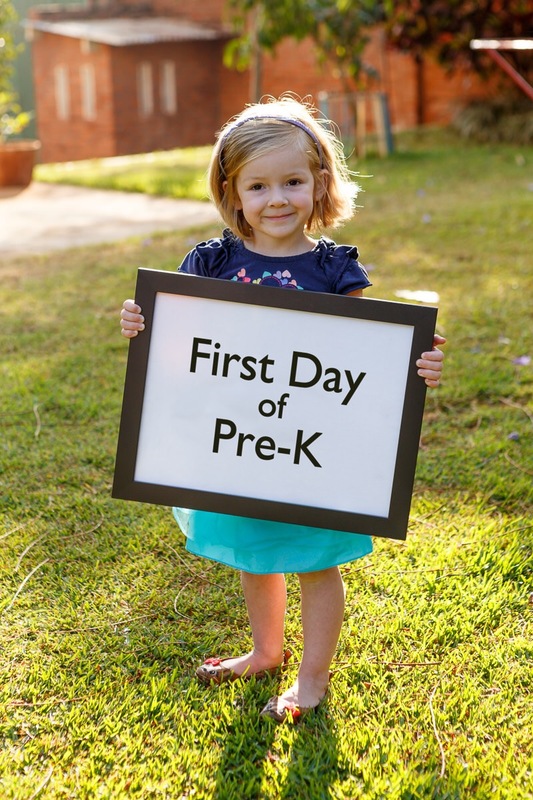 We are back to school, and we love school! Three times this morning while working through our new books Abigail shrieked: “I love this!” It makes this homeschooling mama’s heart happy! First up on the school roster: Naomi! 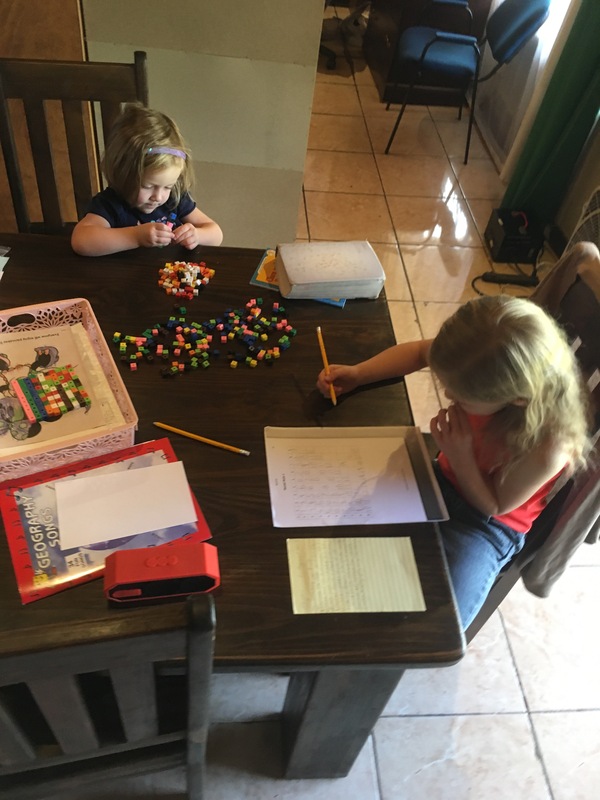 Having successfully finished Preschool last year, she gleefully jumped into Pre-K. She loves hearing stories, coloring in her workbooks, and “helping” Abigail with her math. Next up: Abigail! 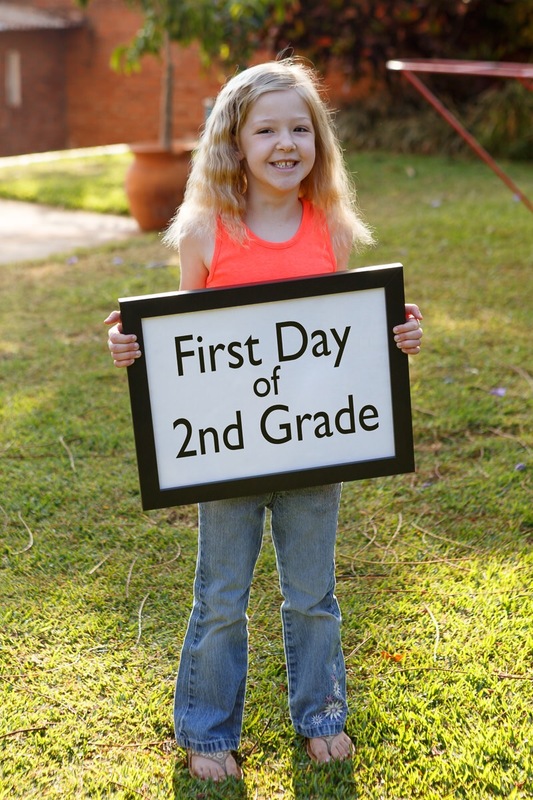 She flew through 1st grade last year, so is ready for the challenge of 2nd grade. She loves reading, history, math, art, geography, science, and language arts. Handwriting is about the only thing she would be happy to live without! And last: Mom! Yes, I’ve been homeschooling Abigail formally and informally for 4 years now, but this does feel like a first for me. Naomi has moved beyond mere stories and coloring, and Abigail is at the point where she has a more rigorous academic schedule but can’t yet be very independent. 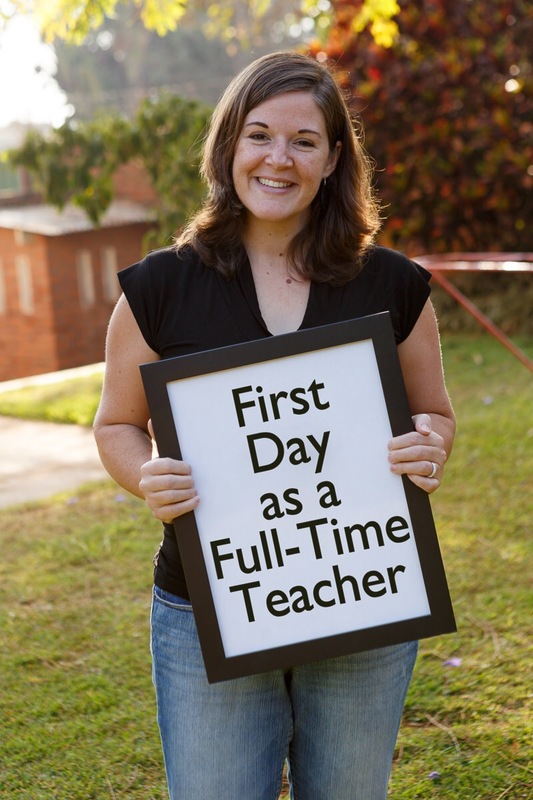 So I’m a full-time teacher! Throw in extra-curricular activities and our school schedule some days runs 8am to 4pm! Speaking of extra-curriculars, we had a couple of those today. We host a playgroup for the younger homeschooling families at our church for a couple hours on Monday mornings. 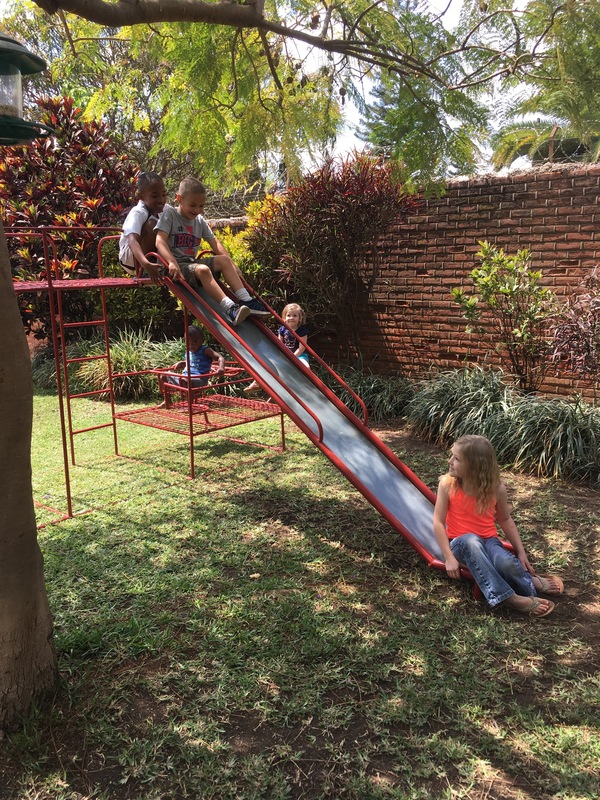 It started during the school break, but all the moms agreed that playing in a group of other kids is good – a learning activity – for our kids, so we are continuing the playgroup as a regular part of the school year. When everyone’s there, it’s 14 kids and 6 moms. 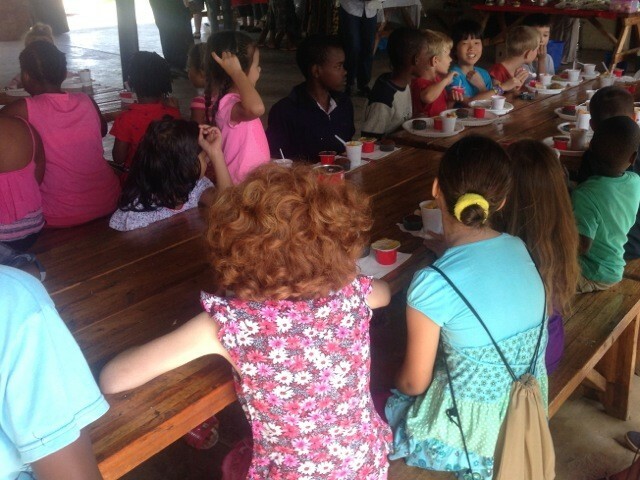 A fun time for the kids, and coffee and chatting for the moms! To round out the day, Naomi joined ballet. Oh the anticipation! This picture just screams “I’m a big girl and I’m so cute!! !” It went about how almost 4 year olds usually respond to a new setting full of unknown people. Ah-hem. Let’s just say, we have a much better chance of enjoying it next week! At least she finished with a little curtesy! 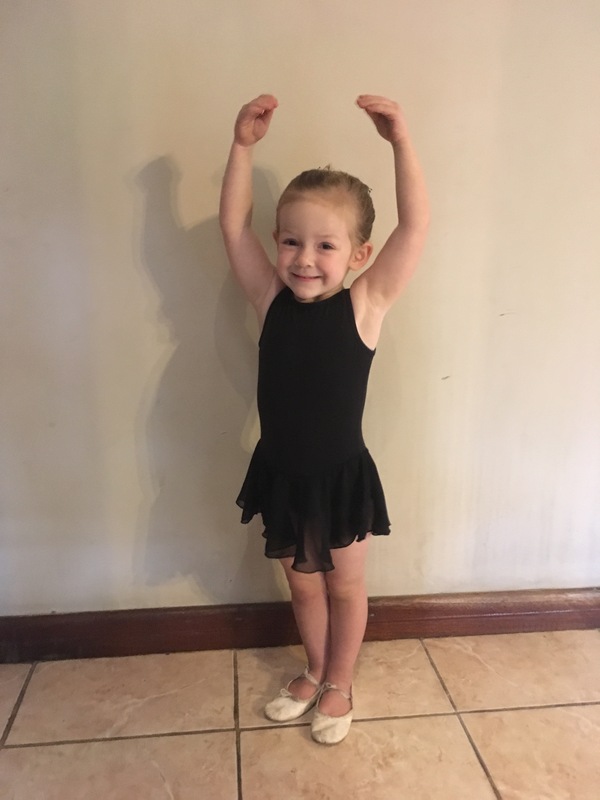 Abigail’s ballet class will meet later this week, as will her writing class, and in the coming weeks hopefully swim lessons too. It’s a full school schedule this year, but we are excited about it, and enjoying the newness this week! We have a pretty good tailor here in Lilongwe, but sometimes it just works better to fix your own clothes. Besides which, I like sewing! 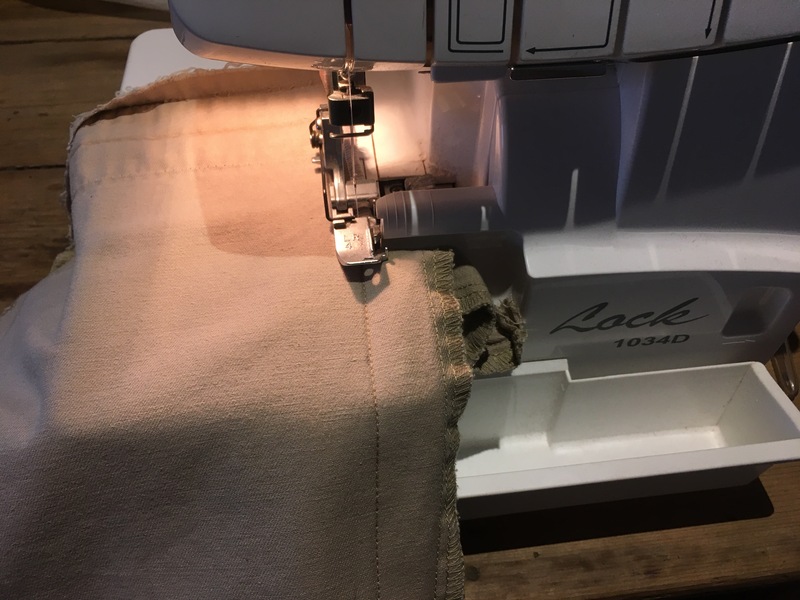 Over the last couple days, I worked on tailoring Matt’s dress pants and cargo pants. If you know Matt, you’ll know he is slender. Clothes have a tendency to look baggy on him. So we fixed that! 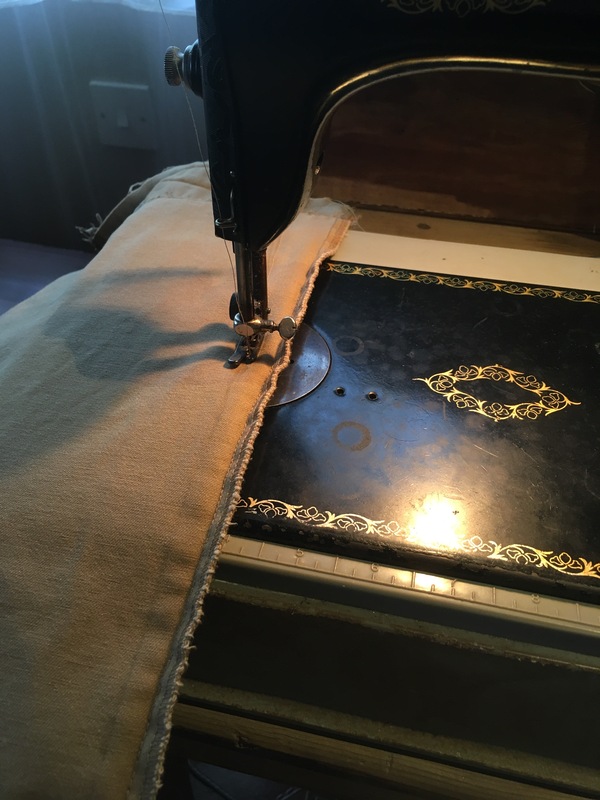 My 1941 Singer sewing machine is pretty simple compared to modern sewing machines, but it gets the job done. Once we have the fit right, my more modern Brother overlocker machine trims the excess and gives us a reinforced seam. 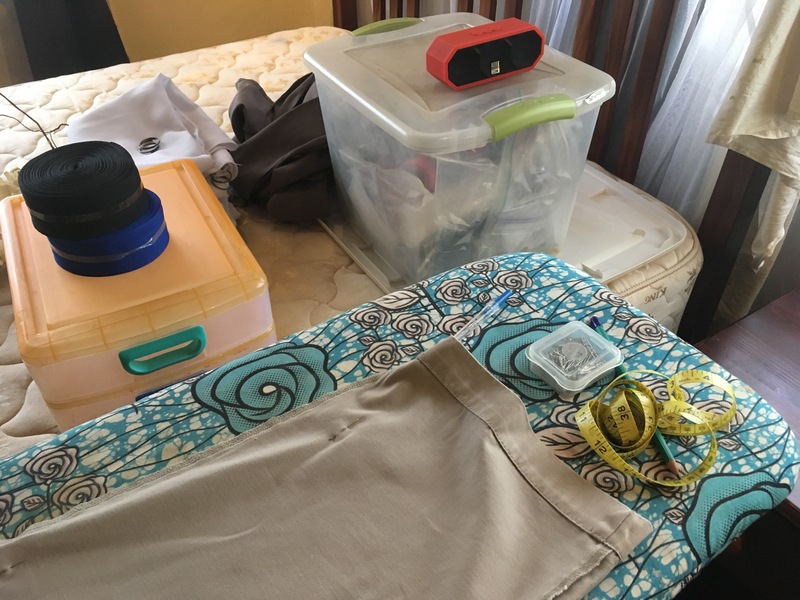 You don’t have to know how to sew to be a missionary, but it sure does help sometimes, especially when you know it will be something like a year before you can shop for clothes again! Four pairs of pants tailored, two waiting to be re-hemmed, and two more in the optional pile. One satisfied customer and a happy seamstress! After Matt&apos;s recent bout with malaria, we are very interested in never getting malaria again, any of us. However, this box of tea is probably not what we are looking for. Everyone just drinks 3 cups a day! Oh wait, disclaimer says that children and pregnant/nursing mothers can&apos;t have it. 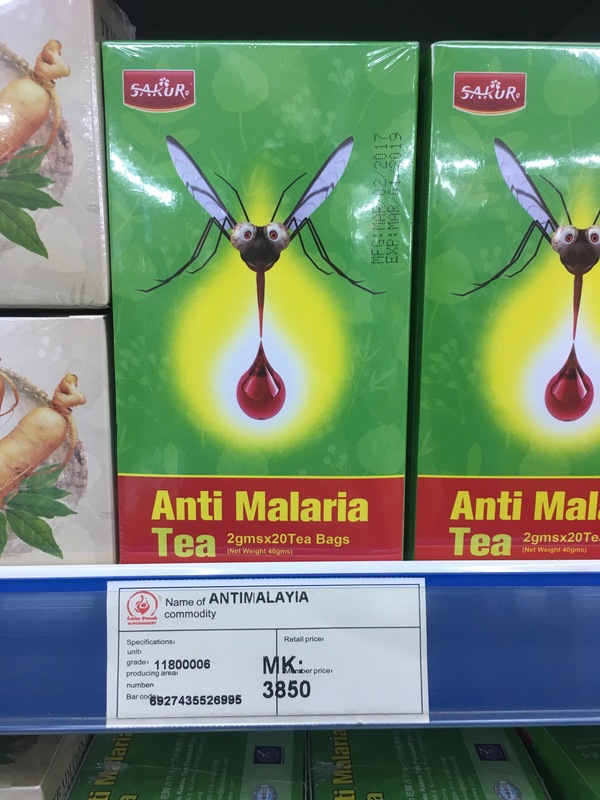 It also says something to the effect that you also have to take malaria meds for it to be effective. Um, so you still have to take the meds? And what non-effective ingredients are in it that kids and moms can&apos;t have?!? Pass. I&apos;m good with just a picture of this one! Yep, we’re back at it! After a year of hiatus, we’re bringing the blog back to life. 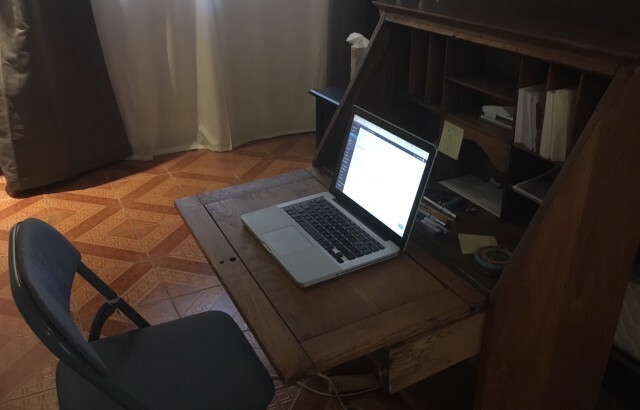 If there’s anything you’d like to know about life on the mission field, Malawi, or the Floreen family, let me know in the comments and we’ll get this thing rollin’! Our kitchen is a busy place these days. We have a team of 10 coming next Saturday, so I’m prepping what I can of the meals now to better enjoy spending time with the people… rather than being locked away in the kitchen while they’re here. I was pulling out ingredients to make 5 different things yesterday, and as I looked at the counter, I thought – the secret life of a missionary wife. 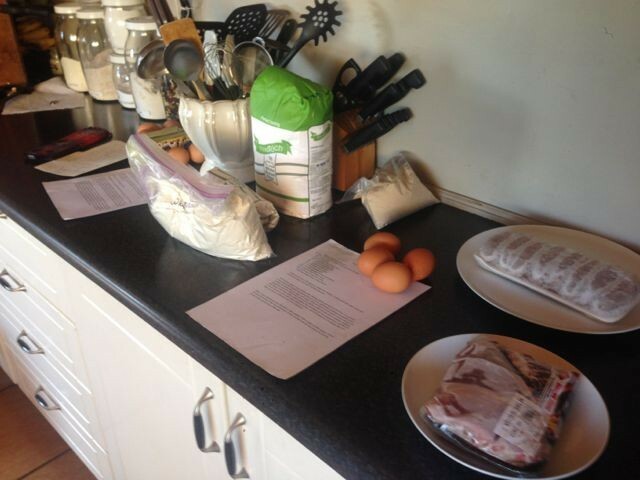 Come up with your go-to recipes, know how to mass produce them, and knock it out in 2 hours while the kids are napping. Yes, I’m busy with counseling, Bible studies, taking my turn in the nursery at church. But there’s always food. There’s tea and banana bread with the counseling session. There’s brownies or flavored popcorn or even fried rice for Bible study. And there’s vats of soup, pans of lasagne, birthday cakes, and dozens of rolls in the freezer waiting for our next team. The mass amounts of food that come out of a missionary’s kitchen are something I’ve rarely heard even missionaries talk about. But as far as I know, we nearly ALL do it. Fortunately, it’s something I’ve always loved to do. Cooking and baking is my thinking time, a great meditating time, and is both creative and relaxing for me. I don’t think there’s a spiritual gift of “cooking,” but I think it’s rolled into the general category of hospitality, and that I think I have. I’m not trying to boast here, but I love it, and God lets me do it on a rather large scale. It’s beautiful and wonderful, and I thank the Lord for it! 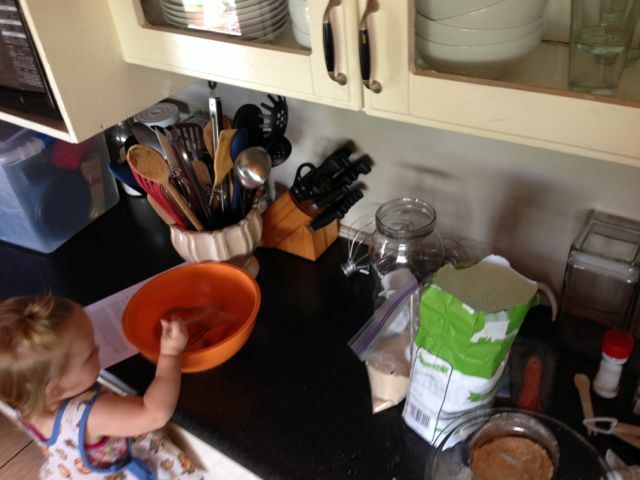 I’m also thankful for some wonderful helpers in the kitchen. =) I hope some day my girls will find the same joy in sharing the Lord’s kindness with everyone who comes to their homes. 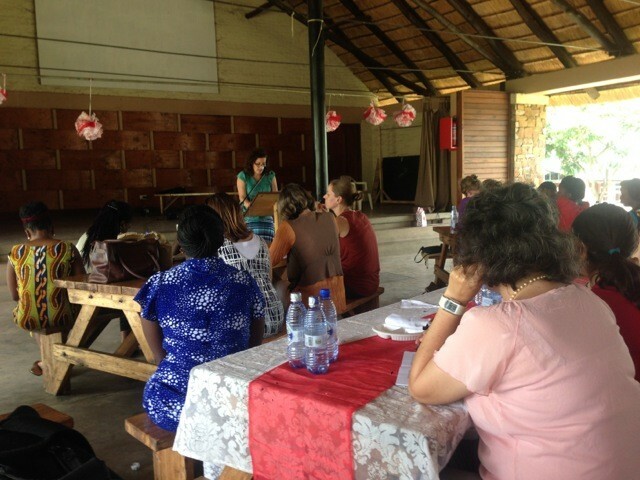 We had the privilege of having a Relationship Conference at our church this past weekend. A team from Calvary Bible Church in Burbank, CA came and spoke at the main sessions and breakout sessions for men and women, as well as ran a kids’ program during the conference time. 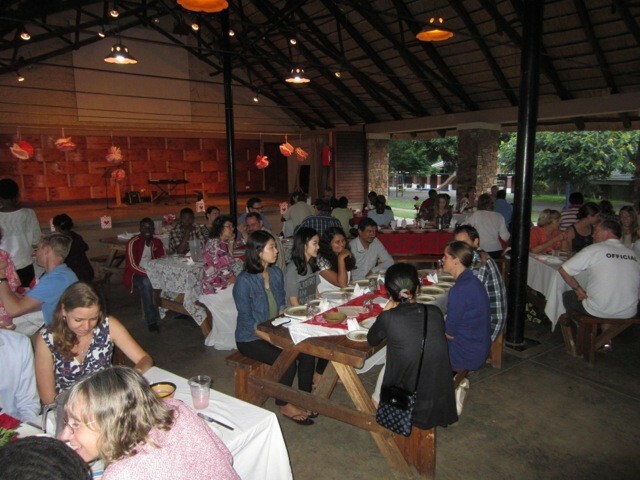 We started with dinner for everyone on Friday evening. 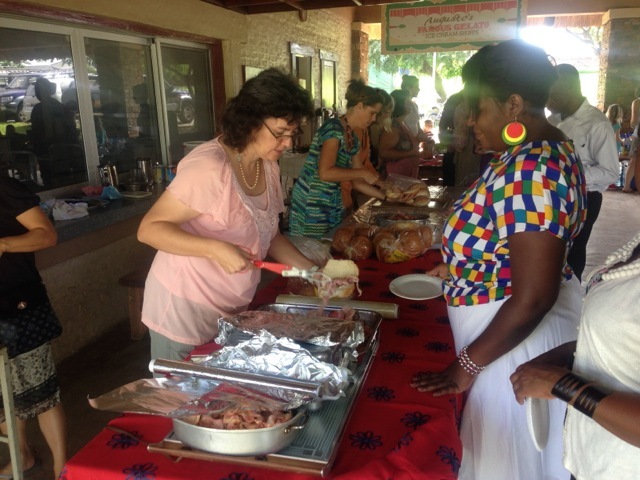 Ladies from the church hosted and decorated tables for the event. And we had quite a crowd! There were about 80 adults, and about 35 kids. 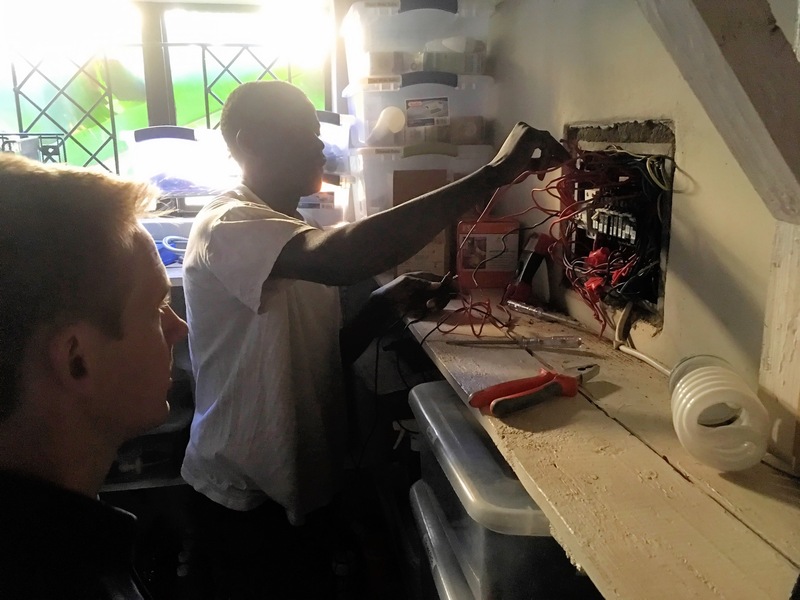 Serving one another in the church – a keystone of relationships and fellowship! And of course excellent teaching from God’s Word about the definition of true fellowship, how to cultivate relationships within the church body, how to understand and deal with conflict in the body of Christ, and how to care for and love our spouses and children. We left encouraged and full of love for our church body as we see the body grow together through these times of teaching and intentional fellowship.